Gina fell in love with yoga in an Ashtanga class in South Florida circa 1999. “I was the worse one in the class. The instructor could not believe how inflexible I was.” That motivated her to delve deeper. A fitness-ista (running, tennis, aerobics) yoga quickly became her favorite as she saw her body transform. “Yoga with it’s deep breathing and twists, works you inside out. Your body will function more efficiently -- the result is eating less and loving your body more.” Gina loves working with newbies. Her classes will challenge and nurture you mentally and physically. Lorien Starr was introduced to yoga at a young age by her mother Mary Ellen; who not only practices on the mat but lives a yogic lifestyle. As a dancer; Lorien fell in love with the creativity, fluidity and dynamic flow of yoga. 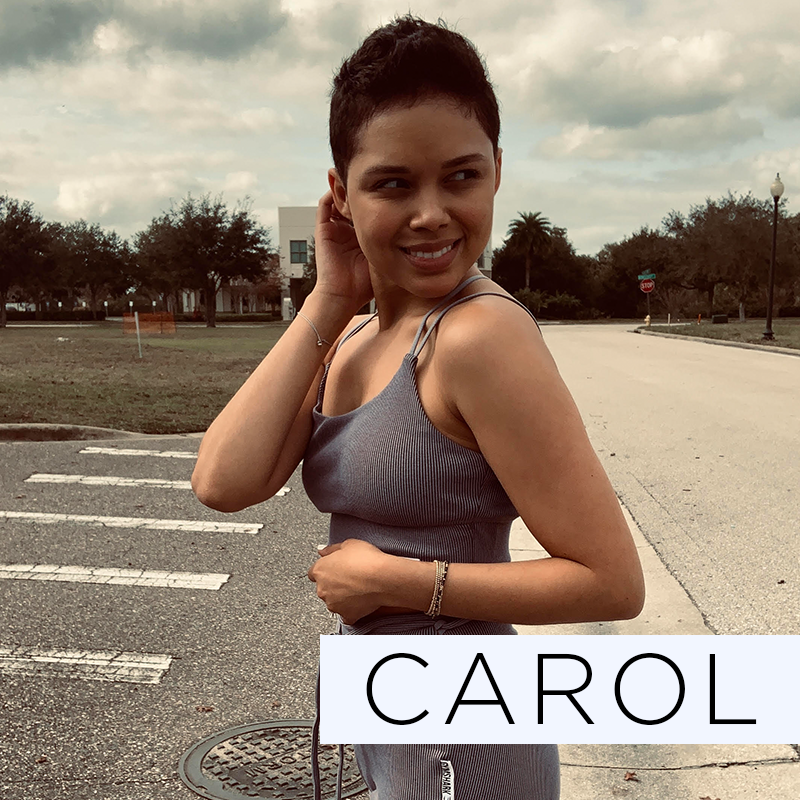 Majoring in Jazz Dance, she earned a Bachelor of Science from Pointe Park University in Pittsburgh, PA. Lorien currently resides in downtown Orlando where she dances professionally and practices Physical Therapy. In 2015 she received her 200hr YTT from Full Circle Yoga in Winter Park. Her extensive knowledge of anatomy and tenure as a professional dancer make her the perfect fit for yogamix…Can you say Nirvana? Danielle Lindberg tried yoga over a decade ago and was immediately hooked. She loved the dynamic movement and the noticeable difference it made in her tension-burned neck and shoulders from being a "techie." In 2009, she was certified under Rolf Gates and started teaching vinyasa flow to "spread the love" and its many benefits. She also completed Eric Paskel's teacher training for a different perspective. Her style is described as very creative and challenging, yet accessible, with emphasis on alignment. 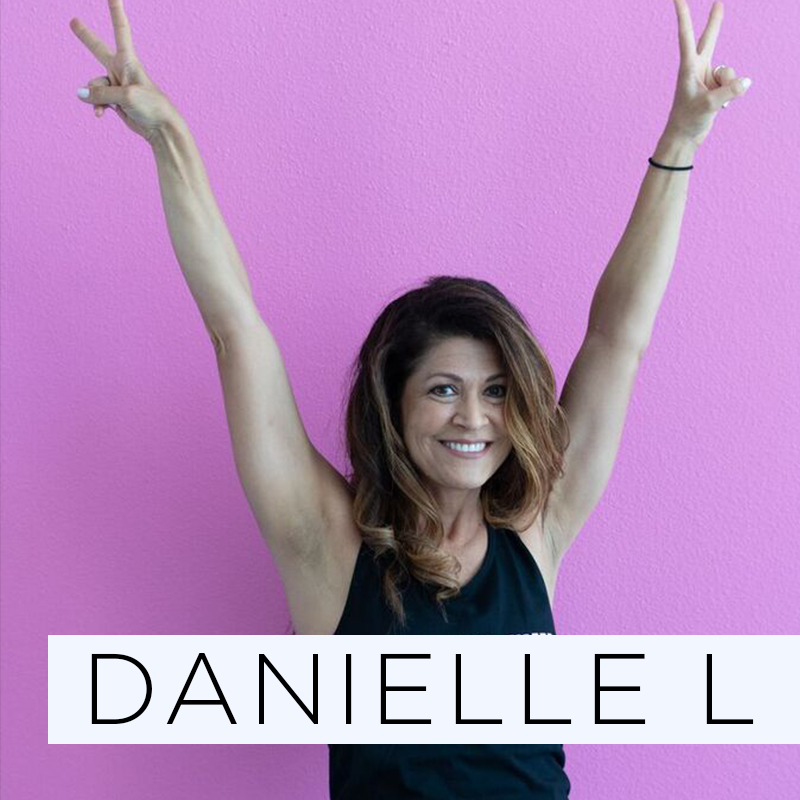 Danielle holds several wellness certifications and is the constant student to best serve those around her. When not on her mat, you can find her busy as a systems architect, wellness coach, working on an art project or learning to surf. I am Debbie, a US Army Veteran from New York who found Yoga and was able to heal physically and mentally after many injuries. With a background in Exercise Science, Personal Training, and Nutrition, I added in Yoga and Meditation for a well-rounded approach to health and wellness. I like to help people realize that life is happening for us not to us and be able to transition from "I can't" to "I can” as I have. As a Health Coach and Yoga Instructor I help people remember to live each moment to the fullest on and off the mat. I feel I have an authentic and non-judgmental teaching style with a dose of inspiration to find real freedom. I also enjoy traveling the world and attending new trainings to expand my knowledge and tool box to share with others. It is so satisfying and meaningful to me to have students see a shift in perspective and ability. I look forward to working with you soon. Namaste. Yoga is a journey of self discovery. Through practice, yogis learn to believe in themselves, let go of expectations, and to flow with life in the present moment. Each day is a new opportunity to experience love, growth, and gratitude. Audrey was born in California and relocated to Orlando in 2016. Ballet and Gymnastics at an early age inspired a passion for sports, dance and artistic movement. Audrey began her Yoga journey to gain strength, balance and flexibility. Through daily practice, she experienced benefits beyond the physical — the healing power of Yoga through a mind body connection. She completed the 200 Hour Power Yoga Certification in California, and immediately fell in love with teaching. As an instructor, she is passionate about empowering others to surpass their goals, and ultimately improve their quality of life through body awareness. Each class focuses on alignment as a foundation, allowing the body to safely increase in strength, stability and mobility. I began my yoga journey in 2009 and later found myself in a rut – leading me to pursue yoga daily. In 2013, because I was able to truly find myself and connect to who I was and to others, I became a certified yoga Instructor with the goal to heal. I only look to grow more and more in my yoga journey as a teacher and as a practitioner. I encourage everyone who is interested and maybe slightly a little scared to try it out, despite the fear. You’d be surprised how much it reminds you to have fun and how physically and mentally strong you are! I am here to empower you to grow, to heal, to learn, and most importantly, to love you! Melissa began yoga in 2012 at home due to stress, depression, and anxiety. In 2017 yoga was a necessity daily as she dove deeper into the mental aspects. Seeing the potential to spread inner peace and self-acceptance through yoga, Melissa earned her 200 hour Yoga Teacher Training certification February 2018 and by the following year she'd already earned her 500 hour. Melissa strives to help others find peace through the mind body spirt connection of yoga. The physical aspects drew Kelsey to yoga in 2006. 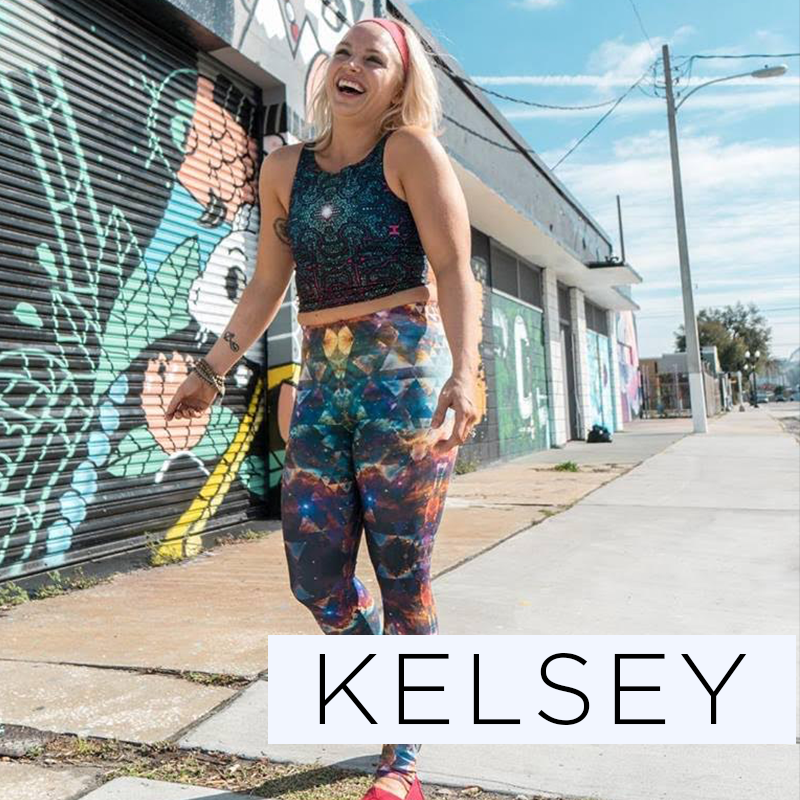 She discovered something deeper, “Yoga is an important and transformative tool that can bring great perspective to life, both physically and spiritually.” Through yoga, Kelsey aims to assist the individual not only in developing strength, but also cultivating self-acceptance, confidence, stability, and overall well-being. Yoga helped her find happiness by simply being present on her mat, open to possibilities, ultimately becoming more whole and connected. Kelsey continues to explore yoga through advanced workshops with yogis Steve Ross, Pradeep, Beryl Bender Birch, Bryan Kest, and Rolf Gates. Through the utilization of breath, drishti, bandhas, and a slightly irreverent sense of humor, Kelsey fosters an environment in which the student can feel at home . Sarah is a proud graduate of the Warrior One 300 hour RYT. She started practicing yoga after suffering from herniated discs in her low back. Four years later she is pain free! Now she is helping others locate trauma in their bodies though yoga. With an emphasis on alignment, she teaches a Baptiste style power flow that is challenging yet accessible. Believing life happens outside your comfort zone, she will encourage you to your edge. Brooke fell in love with body and movement at an early age through dancing and performing. Her appreciation for body intelligence and the importance of healthy living grew and in 2014 she received a BFA in Dance and Choreography at VCU. The same year she moved to Orlando to teach dance and ultimately started her own dance company. Here, Brooke took her first yoga class: to cross-train and stay in shape. Through yoga and breath, Brooke began to connect the body, mind and spirit. It wasn’t long before a few classes turned into a desire to learn more and in 2016 she traveled to Mexico to study yoga, earning her 200 YTT from the Yandara Yoga Institute. “Yoga is for every body,” says Brooke “and the process of learning is the practice”. In Brooke’s class, she will inspire you to listen to your body, push your boundaries and grow past your edge. When Brooke is not on the mat or dancing, she loves to skateboard with her boyfriend and her puggle, Pumba. Anna began her yoga journey with a dedicated Bikram practice. Through this military type discipline, she found peace, acceptance, and a healthier lifestyle. “Yoga allows you to move, breathe and let go. It’s fulfilling, keeps you connected and grounded through life’s challenges”. Her heart told her to share this feeling with the world. A natural explorer of all things, she studied many different styles of yoga including Yoga Nidra, Integral, Amrit and Ashtanga. You’ll find her class energetic with a light-hearted approach and for those who like a challenge, her intuitive yogi nature will provide. Bonnie offer a hands-on yoga approach, through breath, body alignment, often filled with laughter and tailored to the individual needs of each student. Registered w/ Yoga Alliance E-RYT 200, YACEP and over 1700 teaching hours & Reiki. She is certified Laughter Yoga Leader Coach, Shakti Flow® Certified, ACE Stand Up Paddle Board Yoga Instructor, fully insured and a member in good standing of the Hands-on Trade Association. From beginners to advanced Bonnie offer various styles of yoga which include Vinyasa/Power Flow, Stand Up Paddle Yoga, Chakra Yoga, Partner Yoga, Yin Yoga, Laughter Yoga, Hatha, Aromatherapy yoga, Shakti Flow®, and Aqua Yoga. "When I am not teaching yoga, I enjoy being with my family, nature, art festivals, riding my Harley and being on or near the water." Lizzie found herself at home the first day she stepped onto her mat. She was a dancer looking for a way to help maintain her strength and flexibility, but she discovered that yoga offered her so much more. She reconnected with herself and fell in love with the Orlando yoga community. Lizzie leads an inclusive class designed for each unique student. She encourages experienced yogis to explore their practice while also breaking down postures for beginners. Coupling her dance background with her yoga training, Lizzie creates a funky flow of movement to her thoughtfully curated playlists. Her approach focuses on quieting the mind and challenging the body. “Yoga has transformed my mind, body, and spirit. I am grateful for the opportunity to share my passion. I continue to be inspired by my teachers and students on a daily basis. Maureen’s yoga journey began in 1999 and 5 years later she became certified to teach yoga, leading a mix level Vinyasa class at a local gym. Her classes were so popular the windows would steam up from the heat created by her students, and the energy was palpable. Maureen sought a deeper level of yoga and wanted to learn from where it originated. She lived in Asia for a year before making her way to the small town of Mysore, India (2007) where she studied the Ashtanga Yoga method. A traditional Vinyasa form of yoga that connects one’s breath with deep and challenging yoga movements, also known as “asanas”. Maureen continued her studies & trips to the K. Pattabhi Jois Ashtanga Yoga Institute; one of only 7 schools in India sanctioned by the Indian government to grant students a certificate to teach yoga, also known as “Authorization.” In 2014 Maureen received her Authorization to teach this traditional form of yoga which includes philosophy, Sanskrit, anatomy, history and meditation. Maureen is a Yoga Alliance Certified E-RYT & has teaches yoga the way it was taught to her. Engaging students of all health and fitness levels she assesses their potential and meets them at their level to inspire what their body and mind can achieve. 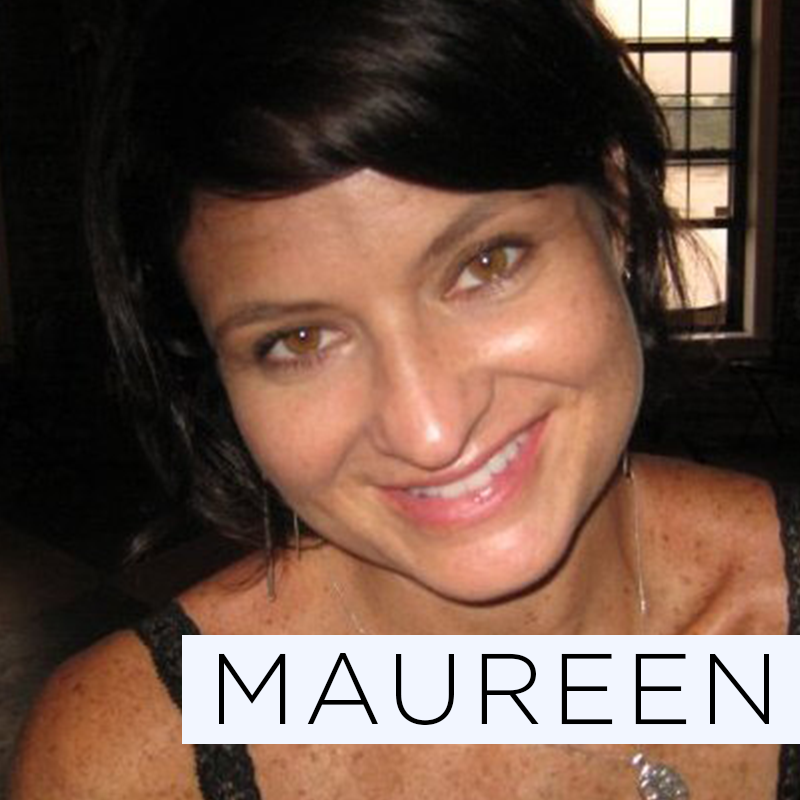 As a teacher, Maureen blends a traditional practice with a modern day approach by helping her students feel good about themselves wherever they may be on their path of life. oga is my passion...I've been teaching and practicing for over 10 years and it is always new to me. Originally from Columbia, am certified in Hatha, Yin, Restorative, Pre-natal, Senior, Chair, kids and yoga Nidra. My focus is to create a comfortable atmosphere for all body types, orchestrating breath- synchronized movements, core stability, flexibility and alignment technique. I help you maintain mind/body awareness so you can create your own intensity. I love helping others to their most healthy and harmonious life through yoga. What my heart speaks in class can not be translated into English or Spanish. It's universal - unity, peace and love. Hannah Aylward is a Certified Health Coach, fitness instructor, health + wellness writer, personal chef and healthy living expert. She helps both men and women around the world lose weight, balance hormones, heal skin complications, heal gut imbalances and feel at home in their bodies through healthy eating, movement, mindfulness practices and positive self-talk. Her goal is to help others “learn the tools they need to live the lives they deserve”. Get to know her by visiting her website or following her on Instagram and Twitter. Grant aka the Energizer Bunny came from a boot-camp background and is a newbie to yoga. Don’t be fooled by his baby face and rookie talk though, his personal passion for growth earned him a 300 hour yoga teacher certification with Yoga Alliance. His sunny disposition will guide you through a power flow with elements of cardio sprinkled in. Just the way we like it- challenging yet accessible. You might guess his athleticism drew him to us and vice versa but actually when we discovered his soulful spirit of inclusiveness, we knew his was perfect for YogaMix. Take Grant’s class, he will seek the light in you and ignite it. Melissa began her yoga journey in 2005 with Bikram Yoga, and used it to offset the physical strain from marathon and half-marathon training. After a knee osteotomy sidelined all running in 2011, Melissa immersed herself in Vinyasa-style yoga and never looked back. “ I used to think I was fit when I could run 26 miles, but yoga transformed my body and mind in ways I could never imagine”, she says of her newfound commitment to the practice. “Seeing my body transform and doing things in my 30s that I could only dream of in my teens as a gymnast was so inspiring, and it continues to inspire me each day.” Over the years, Melissa has trained with Vytas Baskauskas and taken workshops with Day Christiansen and Dylan Werner, where she loves to explore creative transitions and arm balances. Melissa received her 200 Hour YRT at Full Circle Yoga in 2017. I was a junior in high school when my Mother finally convinced me to go to yoga. It was a heated vinyasa class and I loved it. Through high school I practiced yoga multiple times a week and in 2017 completed my yoga teacher training at Shiva Yoga Shala in Fort Myers FL. This is one of the best decisions of my life. Music is another passion so my YogaMix includes many different generations of Rock. In 201? I moved to Orlando to study Music Production. See you in class! My mother introduced me to yoga back in middle school and I was immediately drawn to the simplicity of breath + movement creating magic and bliss. My journey continued at different studios and by my last year of college, I started teaching yoga at LA Fitness. Here I discovered that being able to encourage and motivate people to find their own inner strength and be their own biggest fan was now my biggest passion. My heart is happiest when I see the smiles of people leaving a yoga class feeling refreshed and ready to take on the world. Rob has been practicing yoga and incorporating its philosophy into his life since 2008. His travels throughout south India allowed him to visit several temples and spiritual hot spots while meeting mystical beings along the way. The essence of this rich tradition and his experience lives on through his teachings. Since becoming an instructor, Rob has studied many different styles of yoga and has roots in all nine forms including Hatha, Raja, Karma, Kriya, Bhakti, Japa, Laya, and Jnana as well as a focus on the eight Limbs of Yoga with great emphasis placed on Yama and Niyama. With experience teaching many workshops and master classes, Rob has helped organize teacher trainings throughout the country. In the past year Rob has also begun orchestrating his own yoga retreats with the first experience being held on the beaches of Troncones, Mexico. Rob’s workshops include Foundations of Hatha Yoga, Arm Balance and Inversions (Handstands/Headstands), Bhakti, Pranayama and the Subtle World of Chakras. Rob teaches a fun devotional practice that emphasizes good health, a clear mind and a kind heart while weaving together many teachings in order to bring yoga practitioners closer to the goal of Self-Realization.